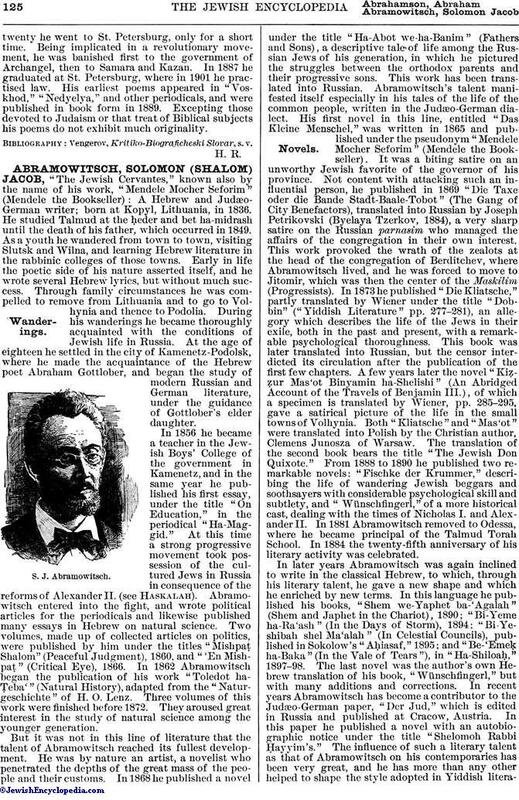 Russian poet, son of Solomon (Shalom) Abramovich; born at Berditchev in 1859, and educated at the Gymnasium of Jitomir. At the age oftwenty he went to St. Petersburg, only for a short time. Being implicated in a revolutionary movement, he was banished first to the government of Archangel, then to Samara and Kazan. In 1887 he graduated at St. Petersburg, where in 1901 he practised law. 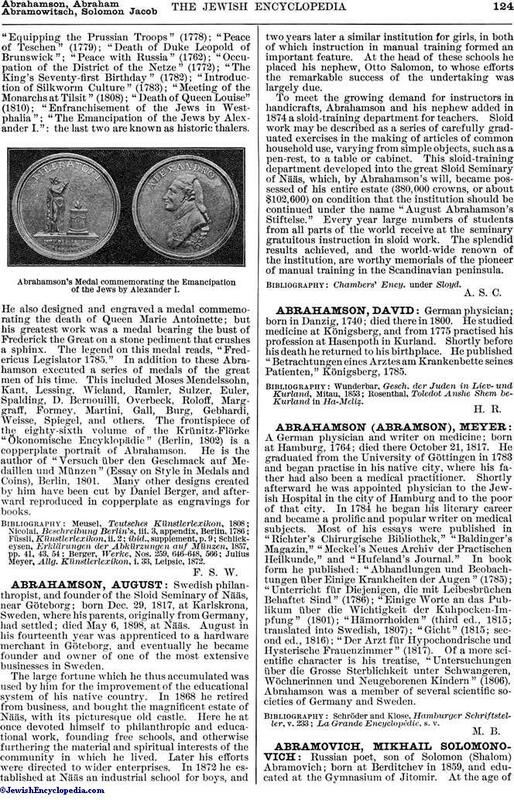 His earliest poems appeared in "Voskhod," "Nedyelya," and other periodicals, and were published in book form in 1889. Excepting those devoted to Judaism or that treat of Biblical subjects his poems do not exhibit much originality. Vengerov, Kritiko-Biograficheski Slovar, s. v.